Chesterfield is a large market town in north Derbyshire and an important regional centre. It is sufficiently far away from Sheffield and Derby to have a thriving shopping centre and one of the best markets in the area. It is also famous for its church with the crooked spire. It is an attractive place to wander with its mix of architectural styles, including early C20th ‘black and white’ timber frame buildings. The pre war brick and stone built Town Hall is a particularly splendid building overlooking Shentall Gardens. The centre of Chesterfield is compact, with the Market Place at its centre. The splendid C19 brick built Market Hall has recently undergone a multi million pound refit. At the centre is a cafe with stalls around the edges selling everything from sweets to clothes. Along the outside are small shops including the Cheese Factor which has one of the best selections of English and Continental cheeses in the area. 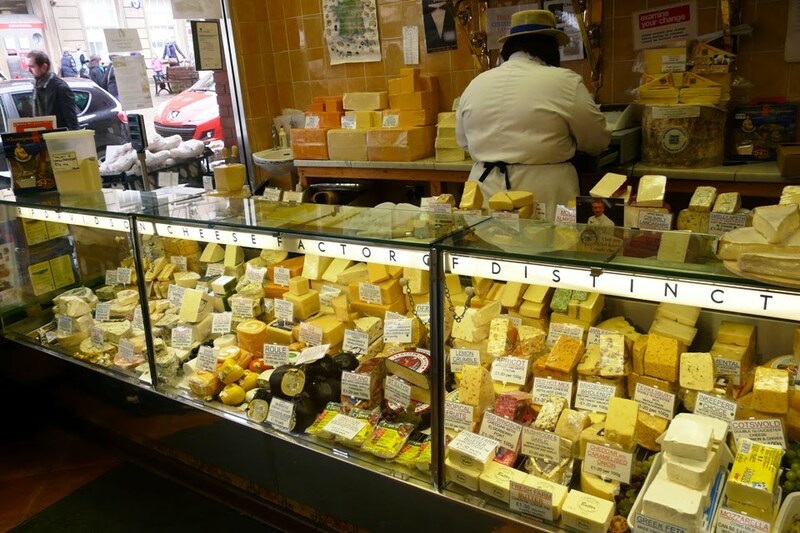 There is everything from traditional Caerphilly to Cornish Yarg, and farmhouse Stilton. The Open Air Market in the square is open Mondays, Fridays and Saturdays. There has been a market here for 800 years, making it one of the oldest markets in the country. There are over 150 different stalls which spread along neighbouring street. It sells everything from fruit,veg and flowers to haberdashery and fashions. On the second Thursday of the month there is a Farmer’s Market and on the last Sunday of the month is the Artisan Market with a mix of food and craft stalls. The Yards is a collection of independently owned shops and cafes. Opposite is the large enclosed Pavement Shopping Centre which contains all the usual chains as well as a Tesco. Next to these is Chesterfield Library, a large modern building on two floors which gives access to the coach and bus station. There is an information Centre in the library although the main Tourist Information Centre is in a purpose built building in Rykneld Square. This has maps of Chesterfield as well as information about the town and local area. It also sells tickets for local theatres as well as day tours by local coach companies. Near this is perhaps the best known landmark in Chesterfield, St Mary and All Saints’ Church with its crooked spire. This has been described as the ‘most famous architectural distortion north of Pisa’. The spire is the stuff of myth and legend, always involving the Devil. The actual explanation is a lot more mundane. When it was built, the spire was covered with wood shingles on a wooden frame. When the shingles rotted, they were replaced by lead, which was plentiful in the area and cheap. About 32 tons of lead were used to cover the spire, on a framework that wasn’t designed to support that weight. The effect of expansion and contraction also exacerbated the problem. The south side of the spire gets all the sun and the lead expands and contracts more on that side compared with tiles on the north side. The differential rates of expansion and contraction caused the spire to twist. The church dates from the C14th and its size reflects the importance and prosperity of Chesterfield at that time. The inside is equally as impressive with splendid stained glass windows, Rood and reredos by Temple Moore, another reredos carved at Oberammergau, late C15th cross, C16th Foljambe tombs and a Norman font. The church does not have toilets and visitors are directed to The Spire by Stephensons, next to the church. This serves a range of excellent and cheap cakes. Holy Trinity Church is on the edge of the town centre and is a typical C19th Gothic building. Its main claim to fame is that Victorian railway engineer George Stephenson who died in Tapton House on the outskirts of Chesterfield and is buried in the chancel. His grave is marked by a simple stone slab with his initials and date of death. Don’t be fooled by the tall pillar memorial in the graveyard to the memory of Harriet Stevenson and her husband George. They are no relation and nothing is known about them. Chesterfield Museum and Art Gallery is virtually opposite St Mary’s Church in what was the Mechanics Hall. It covers the history of Chesterfield from a Roman fort to its growth as a market town and later industrial heritage. It has a small art gallery displaying works of local artist Joseph Syddal and the Romanian painter, David Ghilchik, with his paintings of Staveley Iron Works. It also has a rolling programme of exhibitions and events during the year. Entry is free. Chesterfield theatres include the Pomegranite Theatre and the Winding Wheel have a range of live shows throughout the year from drama to pantomime with dance thrown in. 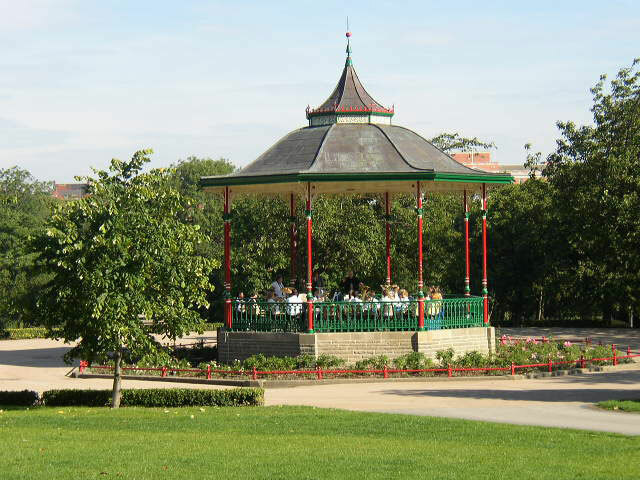 Queens Park is a large public park to the south of the town centre and the home of Chesterfield Cricket Club. There is a lake with a miniature railway running round it from Easter to the end of the summer holidays. 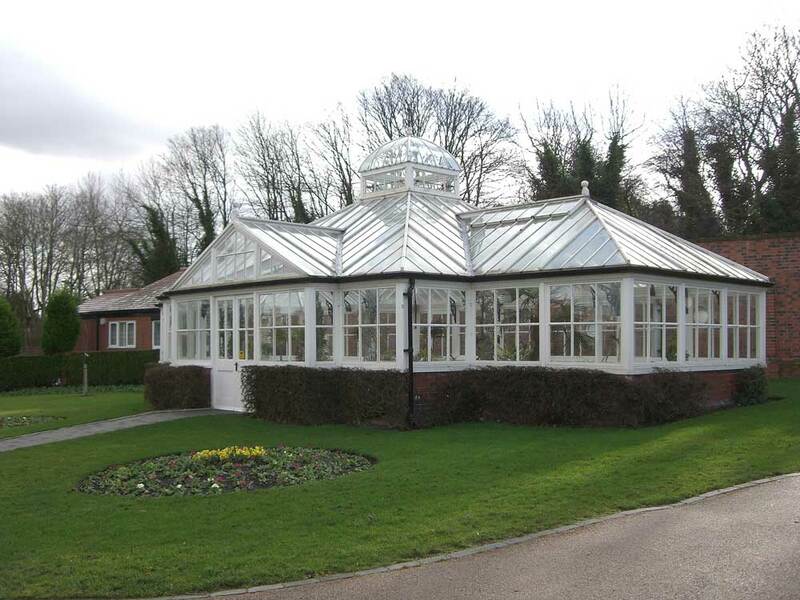 There is also a children’s play area, glass conservatory, bandstand which has concerts in the summer and a cafe. Chesterfield doesn’t feature on the tourist itinerary but is popular with locals. Set on the edge of the Peak District it is close to attractions like Chatsworth House, Bolsover Castle, Hardwick Hall, Renishaw Hall and Gardens... The Chesterfield Canal runs to the east of the town and there are boat trips during the summer months.